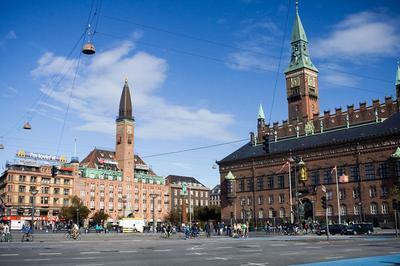 Copenhagen - a beautiful old city, which was very unlucky with the mayor. I got the impression that money is trying to squeeze out of the entire state. For example, all central station made ​​to various shops, and so-called tourist office is already a few blocks from there. Copenhagen's main square is decorated with advertising McDonalds.